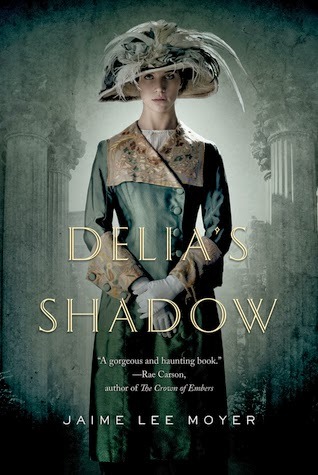 It's not often that a book will entrance me from the very beginning but DELIA'S SHADOW was one that succeeded. Part of what caught and held my attention was the time period itself. This was the first time that I have been introduced to California in the early 20th century. Cars are beginning to take over for carriages and some of the homes are now equipped with telephones. Electric lights are becoming common, and the city has recovered nicely from the Earthquake and is getting ready for the Fair. Women are starting to starting to claim some independence and Delia is used to making her own decisions. I really enjoyed the character of Delia as she has a level head even though the ghosts are starting to wear upon her. A lot of her ideas were rather progressive for that time and the fact that she talks to ghosts... Well let's say, it's good thing that her best friend's fiance and his partner believe in her.